Who’s invited? : Everyone! Come even if you can’t make the film that evening. 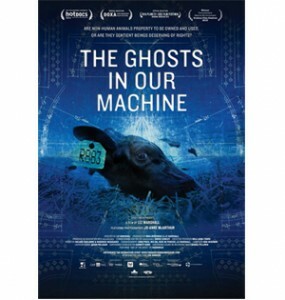 As I mentioned a couple of days ago (click here to read), The Ghosts in our Machine will be playing at the Bytowne Cinema from September 23-25. Following the opening night screening, the NCVA will host a reception to celebrate the incredible work of the film’s protagonist, Jo-Anne McArthur and director, Liz Marshall. This feature documentary was one of the top ten audience favourites at this years Hot Docs festival in Toronto. It follows Jo-Anne, a professional photographer, as she travels the globe trying to bring the plight of animals to light through her photographs. The reception will feature delicious vegan snacks, a brief presentation by Liz on the film’s upcoming American release, and a brief presentation by Jo-Anne on her new book – which no less a legend than National Geographic’s Wade Davis describes as follows: “If ever there was a document that might cause human beings to reconsider our entire relationship to the animal world, this hauntingly beautiful book is it”. Jo-Anne (an Ottawa native, by the way!) will also have prints of some of her favourite photos for sale, and will be happy to sign them. So please come out and meet these two trailblazing activists and celebrate their amazing accomplishment. Tickets are $10, with proceeds going to support the film’s US release (check out the indiegogo campaign here). Note that a minimum confirmed guest list of 30 people is required for this event to go forward, so please RSVP to the facebook event if you intend to come. Advance tickets to the reception can be purchased here. Note that these tickets are just for the reception. The film screenings are not private events but are part of the Bytowne’s own lineup – So you just purchase tickets at the theatre as you would for any other film. *The venue is a 5 minute walk from the Bytowne Theatre, so you may prefer to walk and avoid the exorbitant Byward Market parking fees.